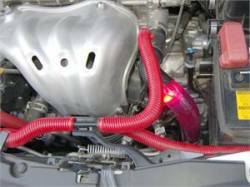 Description: Killerglass Upper Radiator Hose for the 05-10 Scion tC. 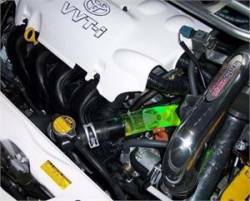 The Killerglass Upper Radiator Hose for the Scion tC is transparent so that you can see the coolant pass through the hose. In addition you have color options on the LED. Description: Killerglass Upper Radiator Hose for the 04-06 Scion xA / xB. 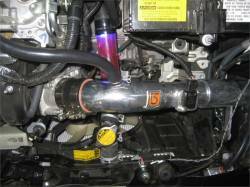 The Killerglass Upper Radiator Hose for the Scion xA / xB is transparent so that you can see the coolant pass through the hose. In addition you have color options on the provided LED. Description: Killerglass Upper Radiator Hose for the 08-15 Scion xB (xB2). The Killerglass Upper Radiator Hose for the Scion xB2 is transparent so that you can see the coolant pass through the hose. In addition you have color options on the provided LED. Description: Killerglass Upper Radiator Hose for the 08-14 Scion xD. The Killerglass Upper Radiator Hose for the Scion xD is transparent so that you can see the coolant pass through the hose. 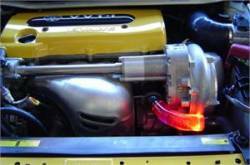 In addition you have color options on the provided LED.